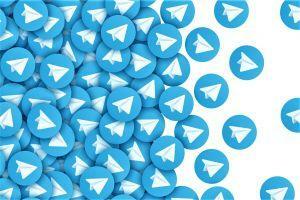 Messaging giant Telegram may launch its cryptocurrency, the Gram, as early as March this year – and the token may make its debut in Japan. Per Russian-language media outlet The Bell, “sources familiar with [the Gram’s] founders” believe a meeting of the project’s major investors will take place within the next four weeks – where they will be presented with a demonstration of Telegram’s new TON blockchain platform, with a mainnet launch slated for March. Telegram CEO Pavel Durov last week claimed that “2019 will be the most important year in the history of our company,” and last year raised some USD 1.7 billion in funding for the Gram and the TON platform, the major blockchain ecosystem project. A recent Telegram newsletter claimed that work on TON was “90% done,” and that it would be ready in “early 2019.” However, its authors conceded that “a slight delay of two-three months” was possible, due to the “innovative nature of the project.” As reported, the company had its test version of TON done at 70% in September. This project claims to solve one of blockchain’s most challenging issue of scalability by developing an entirely new blockchain that will be able to process millions of transaction per second, citing the use of terms such as “infinite sharding” and “hypercube routing.” These topics, however, have often been dropped by other researchers due to their complexity. According to the latest publicly available data, in March 2018, Telegram had 200 million active users. Meanwhile, elsewhere in Russia, the government’s latest crypto-charm offensive has taken a new turn. Per media outlet IAFT News, the Ministry of Economic Development has stated that it is working on a draft bill that would allow “select Russian companies” to pilot the use of cryptocurrencies as a means of payment in inter-business settlements. 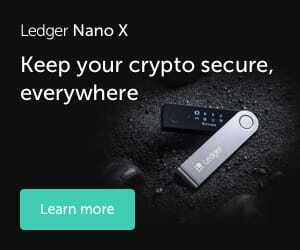 The proposal has already won the backing of authorities in the Kaliningrad region, as well as the federal republic of Tatarstan – with companies in both regions hoping to begin crypto-pilots as soon as possible. The bill could be debated as early as this spring, when parliament is set to read several cryptocurrency-related draft laws – all of which will likely be passed without much fuss once they have been fully formulated. However, it's no wonder Russian politicians are talking about the cryptocurrencies replacing the US dollar, as the country is under international sanctions, imposed after the country illegally annexed Crimea and started interfering in Eastern Ukraine in 2014. Last August, a senior Russian politician even stated that the country may consider allowing traders to conduct international transactions in cryptocurrencies as a response to new international economic sanctions.